With opening day set for Nov. 16 for Squaw Valley Alpine Meadows, the resort has announced that its electricity will be purchased from Liberty Utilities’ nearby solar generation plant in Luning, Nev., making the resort’s electricity supply 100 percent renewable by Dec. 1. In July 2018, the California Public Utilities Commission approved Liberty Utilities’ application for a Green Tariff, creating an economy where local customers can purchase renewable electricity for their homes or businesses at a nominal price per kilowatt hour, the proceeds of which Liberty Utilities uses to develop new renewable energy projects, according to a press release. By signing on to the Green Tariff, Squaw Valley Alpine Meadows will become Liberty’s largest Green Tariff customer, contributing approximately $325,000 in additional dollars on its electric bill in the first year to help accelerate the transition to affordable renewable energy sources for the utility’s 49,000 customers in the region. The Green Tariff is available to all Liberty Utilities customers and Squaw Valley Alpine Meadows will continue to advocate for its adoption within the larger community. With this change, Squaw Valley Alpine Meadows will reduce its total annual carbon footprint, including fuels and other sources unrelated to the power grid, from 13,078 metric tons to an estimated 6,682 metric tons – a 49 percent reduction, which is equivalent to the emissions generated by the annual electrical use of 959 homes. Learn more about the resort’s efforts in renewable energy at squawalpine.com/renewablenow. For the 2018-19 season, which kicks off the resort’s season opening on Nov. 16, Squaw Valley will quadruple the size of its POW Parking area. POW Parking is available at no cost for vehicles with three or more people and is located at a prime location north of The Village at Squaw Valley. The POW Parking area will also be available for paid parking for non-carpool vehicles, with all spaces available on a first come, first served basis. Christmas Day 2018 will mark the 50th anniversary of the Squaw Valley Aerial Tram, originally known as The Cable Car. When it opened in 1968 it was the largest aerial tram in the world and, to this day, marks a feat of modern engineering. Called the “The Monster” by the crew that installed it, the tram rises 2,000 vertical feet and is comprised of miles of cable, two 140 and 40-foot tall towers built into rugged terrain, and complex electrical and mechanical systems. Five thousand yards of cement and 500 tons of steel were used to build the lower terminal alone. Fabricated by Garaventa in Austria, the tram components were transported by barge down the Rhine river in Europe and loaded onto three ships bound for San Francisco, where they were trucked over Donner Summit to Squaw Valley. The mountain manager at the time, Hans Burkhart, oversaw every aspect of the tram’s construction and worked tirelessly with his crew to complete the project in time to open for the Christmas holiday. Today, the Aerial Tram has been modernized with state-of-the-art cabins and electrical systems, with routine service and upgrades performed by a group of operators who received specialized training, including overseas with the manufacturer. For skiers and snowboarders looking for a quick refresh on his or her technique, the new Pop-Up private lesson offers on-demand instruction by the hour. 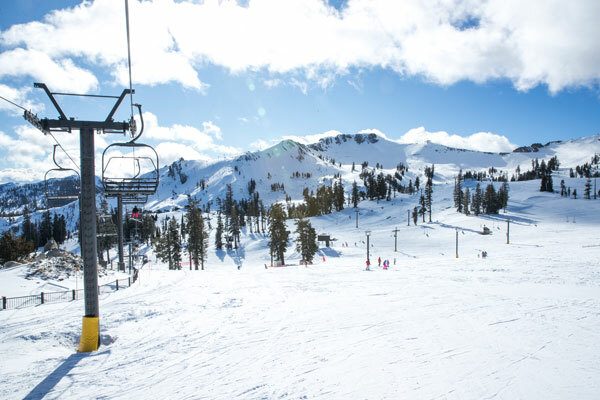 Guests will connect with a certified professional Squaw Valley Alpine Meadows instructor at the top of the Funitel at Squaw Valley or at the base of Alpine Meadows and hit the snow for one-on-one instruction and priority lift line access. Lessons are available daily after 10 a.m. on a walk-up basis only. Embracing demand for snowboard instruction for kids younger than 5, kids lessons will now have access to Burton Riglet Parks at the designated kids learning areas at Squaw Valley and Alpine Meadows. The parks utilize terrain-based features, easy to use equipment and learning tools to introduce young kids to snowboarding. Instructors trained by the Burton Resort Team use guided discovery and play to welcome new generations to the sport. 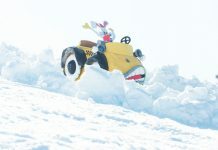 Simultaneously, Squaw Valley Alpine Meadows will introduce a Rivets group lesson for snowboarders ages 3 and 4, complimenting the existing Grommets snowboard lessons for ages 5 through 7. The scenic Aerial Tram will be open late on select days this season, welcoming families and friends to converge and take in the setting sun and stunning views of Lake Tahoe as the tram rises 2,000 feet to High Camp. Sunset Happy Hour guests can enjoy deals on appetizers and drinks like the warming KT Coffee or the hard-charging Local’s Lemonade. Wanderlust Yoga Studio in The Village at Squaw Valley has added an introductory AIReal Yoga class to their schedule. Using a smooth fabric hammock that hangs at hip height and swivels freely, AIReal Yoga enables class participants to deepen stretches, correct alignment and safely perform inversions. 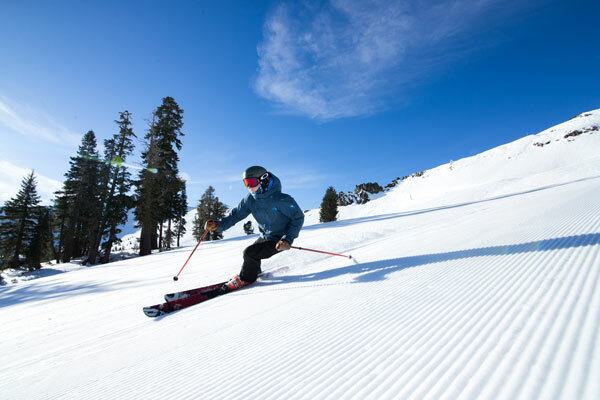 Intermediate to advanced level skiing and snowboarding guests who are new to Squaw Valley can take advantage of a free two-hour mountain tour offered on Friday, Saturday and Sunday mornings, as well as holidays. Experienced mountain hosts will guide an introductory tour of Squaw Valley’s vast terrain, geared toward the skill level of the group. Squaw Valley history and folklore will come to life as the tour host shares stories that date back to the resort’s founding in 1949. 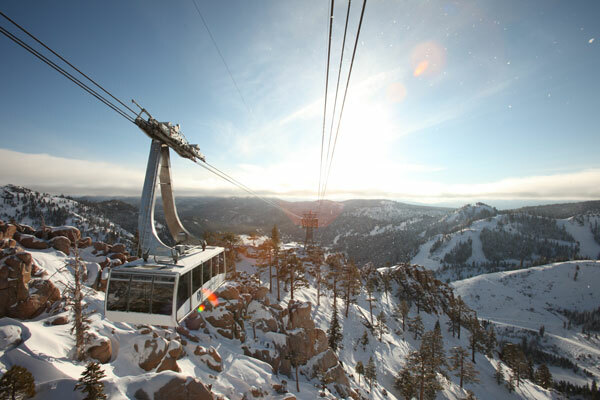 The free mountain tours at Squaw Valley will kick off on Dec. 14. 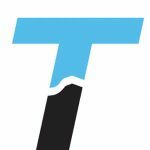 New progression plans for beginner and intermediate skiers and riders will be printed in the portable resort trail map, as well as on the large trail map signs at key locations at Squaw Valley and Alpine Meadows. The plans show an easy step-by-step progression of trails and lifts for a first time beginner, beginner and intermediate skier or rider, and include questions to help guests gauge which runs they should take on next. The progression plans are intended to welcome those who are unfamiliar with the terrain and serve as a guide to a fun experience that makes the most of the day.